Reason:     Excessive or fatal bounces. 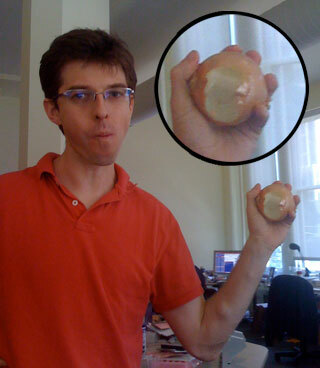 Bryan Cantrill, VP of Engineering at Joyent, earning $15. As one of the moderators of the DTrace discussion list, I see people subscribe and unsubscribe. Bryan has, of course, left Oracle and joined Joyent to be their VP of engineering. Bryan is a terrific engineer, and I count myself lucky to have worked with him for the past nine years first on DTrace and then on Fishworks. He taught me many things, but perhaps most important was his holistic view of engineering that encompasses all aspects of making a product successful including docs, pricing, talks, papers, and, of course, excellent code. Now Bryan is off to cut through the layers software that make up the cloud. Far from leaving the DTrace community, he’s going to take DTrace to new places and I look forward to seeing the fruits of his labor as he sinks his teeth into a new onion of abstractions. … and, Robin, Bryan’s certainly a smart guy, but “the smart guy behind Dtrace [sic]“?? Just don’t refer to me and Mike as “the dumb guys behind DTrace” okay? You and Mike are now, officially, the "other smart guys" behind Dtrace. That’s a pretty good grip for throwing a slider, but the elbow is too low and the wrist is all wrong. Plus Cantrill looks like he weighs 80 pounds in that photo. Maybe you can be the Stud Behind DTrace and Mike can be….well, whatever he can lay claim to. So what’s the story behind the onion bet? Boredom? Waiting for a kernel compile/reboot cycle to finish?